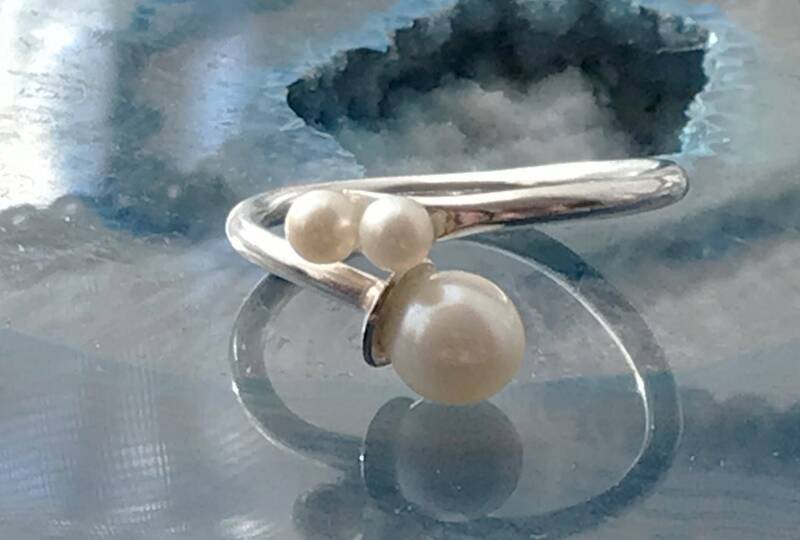 Beautiful Quality AAA Grade White Freshwater Pearls set in Sterling Silver fully adjustable ring. 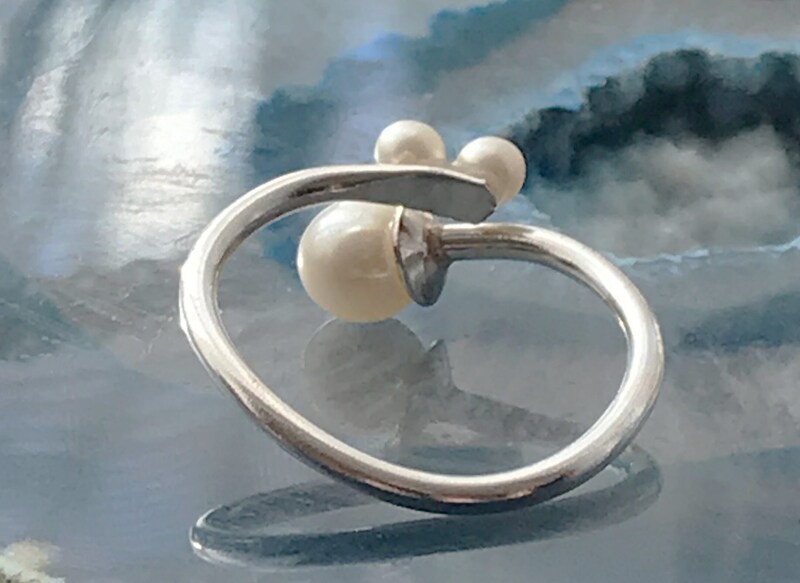 The pearls measure approximately 3mm and 8mm. To re-size, simply pull or push together to fit.